You know those uncooked tortillas you can buy at Costco? If not, check them out! They are usually in the refrigerated section (near the cheeses) and are in 2 bags. 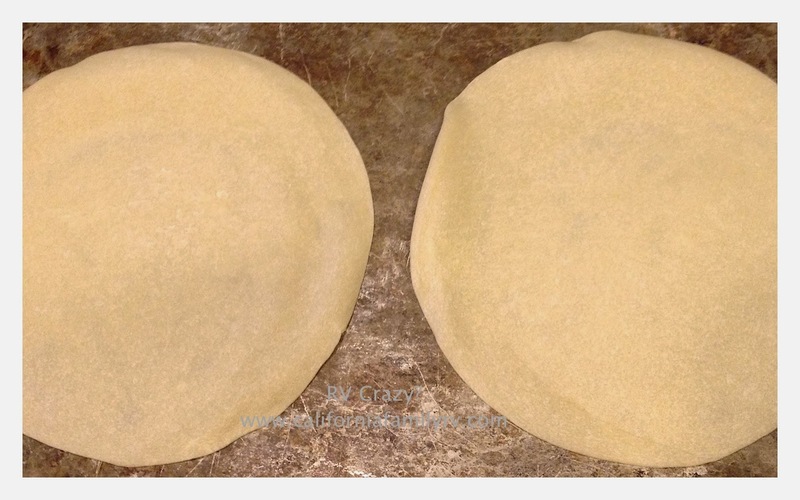 You just warm them on a frying pan and voila, fresh, warm tortillas that taste almost homemade! Well, yours probably don't look quite like this, because your pan is nice and new and shiny looking. Mine looks like it's been through a war. In my defense, it's 12 years old and it sees A LOT of action! Then, just fill with the toppings of your choice. Now, for last night's dinner, I really scored in the re-use department. I had grilled steaks the night before, so I had put the leftover steak in the crock-pot early that morning. I added a few slices of habanero chilis, black beans, and salt and pepper while it was cooking. The meat was tender and shredded by dinnertime. For our salad tonight I put a bed of romaine lettuce in the bottom of the shells, added shredded cheese, tomatoes, leftover corn removed from the cob, meat & bean mixture, and topped with sour cream and a few radish garnishes. Inspired by my success, I poked holes in a few remaining uncooked tortillas, spread a tiny bit of butter on them, sprinkled them with cinnamon sugar and put them in the oven. 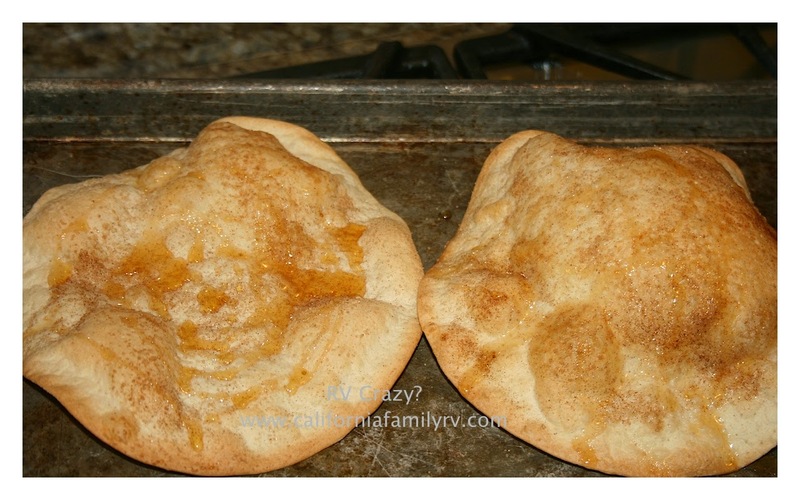 When they came out, I drizzled a little honey on them, and they tasted very much like sopapillas (Disclaimer: they are not EXACTLY like those delicious fried desserts, but reminiscent of them, and a bit healthier). 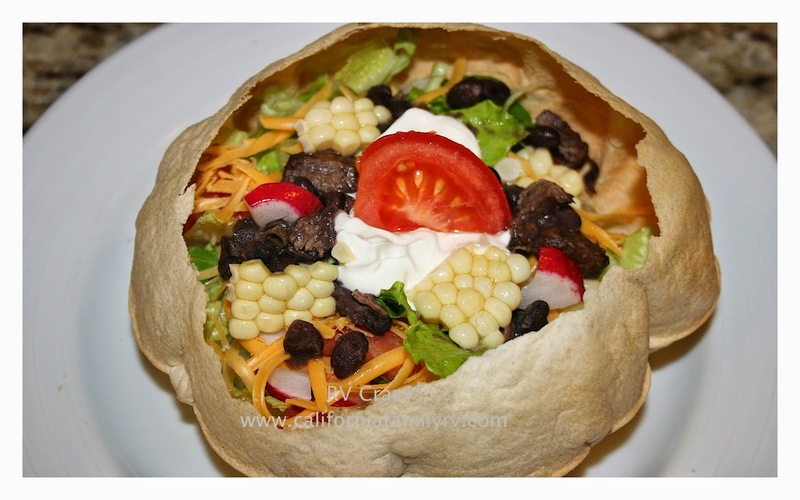 Fill tortilla bowls with your choice of salad ingredients. Some ingredients we enjoy--lettuce, shredded cheese, meat (steak, hamburger meat, chicken or shrimp, it's very versatile), avocado, salsa, tomatoes, sour cream, rice, corn. This is a great meal for using up leftovers. 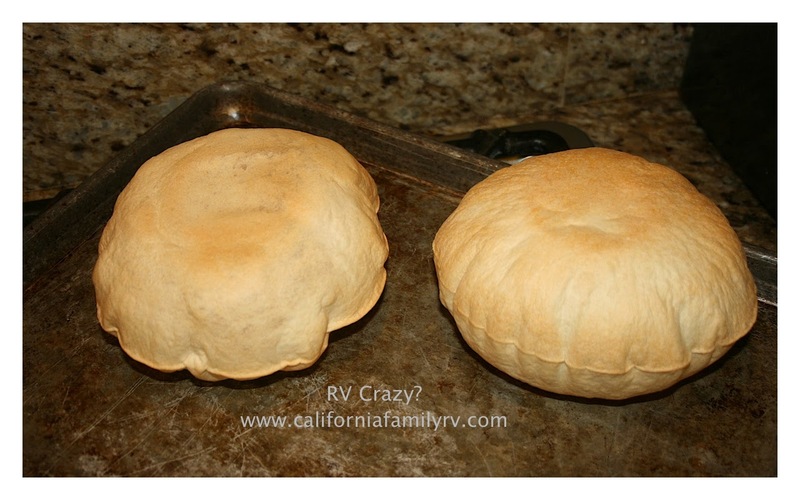 Put almost anything in those crispy shells and they will be a winner! 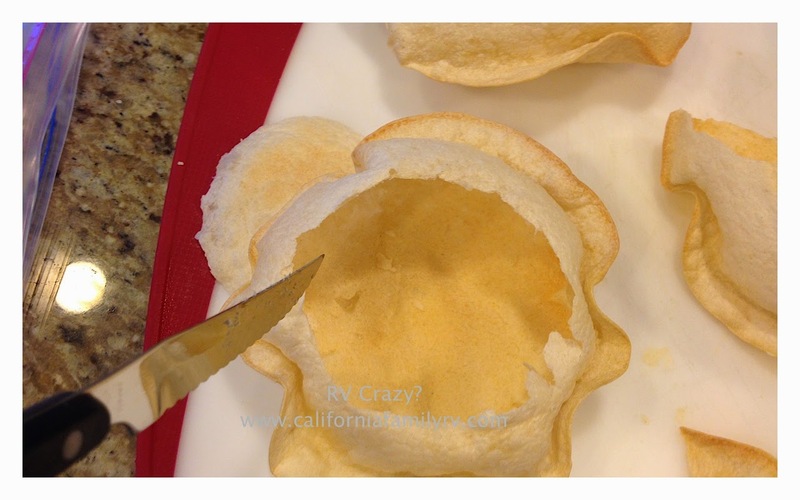 Cut with kitchen shears or pizza knife and enjoy! Sounds good. I'll definitely have to try this one.